The laser is applied directly to the surface of the skin or it can be held just above the skin surface. 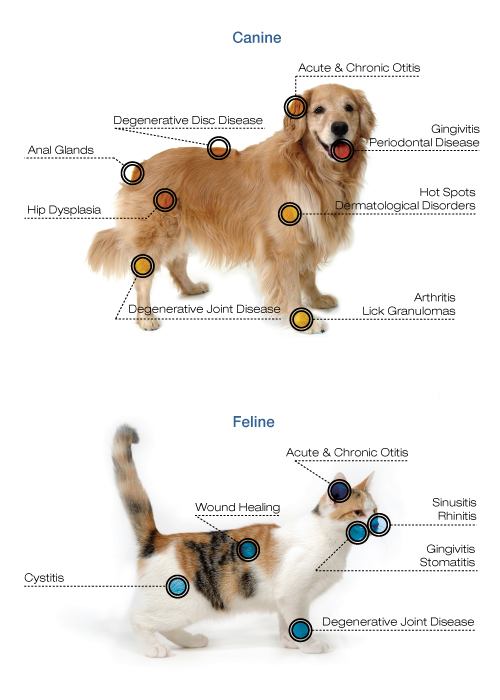 A benefit to cold laser therapy it that it is not necessary to shave the fur in the region of treatment. Treatment can be administered without discomfort or restraint.